England initially played three games. 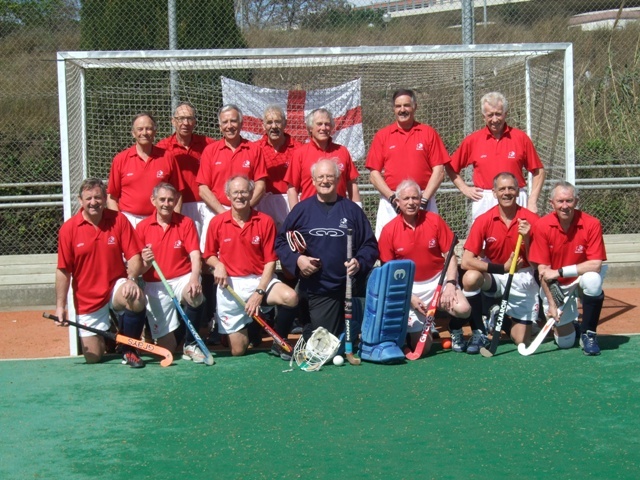 The first game was against Scotland which England only managed to draw 0 - 0. Their next game was against Holland where England played much better and used more of the full width of the pitch to win 3 - 0. Their third game was against their old adversaries Germany which was drawn 1 - 1. After three games Germany had won two games and drawn one and England had won one game and drawn two. Germany therefore had 7 points and a goal difference of plus 2 and England 5 points but a goal difference of plus 3. It was therefore England v Germany in the play off between the first and second placed teams - a very familiar and hitherto often repeated scenario. In this final playoff England started poorly and were soon one goal down. However they fought back well and soon equalised and then not long after scored a second goal to take the lead. 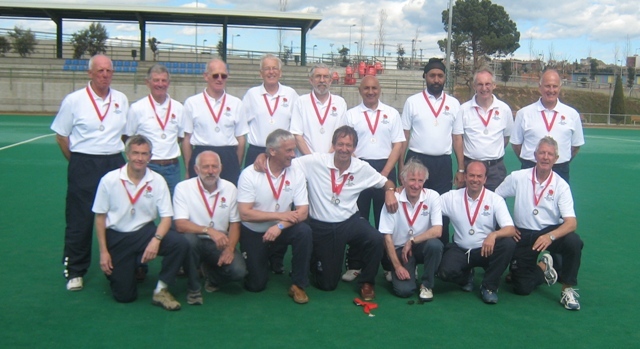 In spite of occasional attacks by Germany England held them out and the game finished with England winning 2 - 1. 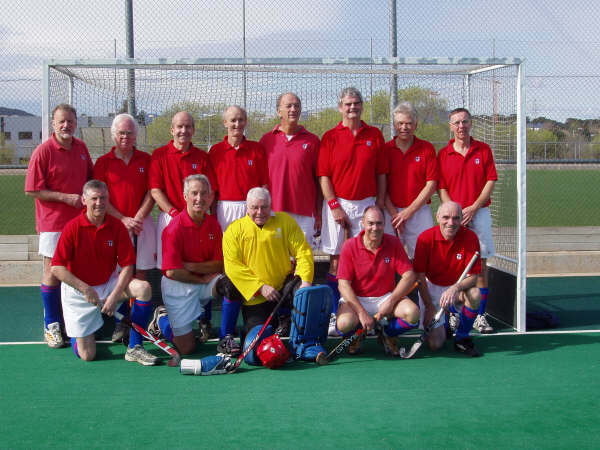 This was the first time this age group(over 70's) of Grand Masters had competed in this bi-annual event. Because there were only three Countries taking part - England, Holland and Germany they played each other twice so that each team played four games. England were not perhaps as strong as they could have been and as a result only managed to draw two games and loose two games. Germany came out the winners. This trophy is competed for by the non National teams and due to the late withdrawal of Egypt (not able to obtain visas) comprised a league of six teams. LX Red captained by David Gill were the clear winners winning all their games.